Take part in this exclusive competition for Vertex attendees. Vertex is bringing the CG community together on 13th March at Olympia London. 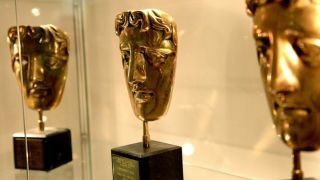 And along with the amazing industry-leader talks, workshops, networking opportunities and more, you'll also get the chance to see a real life BAFTA award. Creative Assembly (CA) is bringing its BAFTA to Vertex for you to ohh and ahh over – but the games studio has also teamed up with BAFTA Games for an exclusive competition for Vertex Conference attendees. They have three pairs of tickets to the 2018 BAFTA Games Awards for three lucky winners and their plus-ones. To enter the competition, make your way to the CA booth at Vertex on Tuesday 13th March, take a photo of yourself with one of the studio’s BAFTA awards, post it on Twitter to @CAGames using the hashtag #takemetothebaftas. You must be 18 years old or over and able to attend the BAFTA Games Awards ceremony on the 12 April in London, UK. Winners will be picked at random by CA on the 14 March and notified via Twitter. There's so much going on at Vertex, you really don't want to miss out. Speakers include the likes of Digital Domain's Scott Ross, Chaos Group's Chris Nichols and ILM's Ben Morris on the VFX of Star Wars: The Last Jedi. There's also workshops, portfolio reviews, an Ask An Artist section for one-on-one advice, a networking party and much more.